Last week my family, Lynette and her CG all went to Dallas. It was a wonderful day spent in the big city for us small town folks. We went to Cabela's, ate lunch at McDonald's, and just had a really great day. A road trip was a nice getaway for us all. 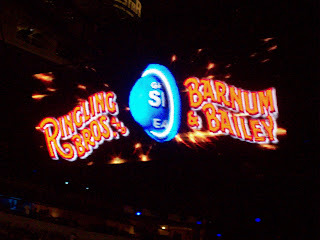 The purpose of the trip was going to see Ringling Brothers and Barnum & Bailey Circus present Over The Top. 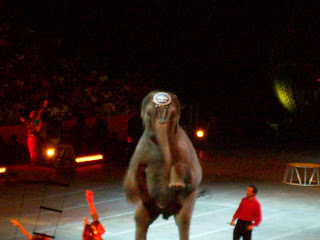 Lynette had never been to the circus in her life, so this was a real treat. 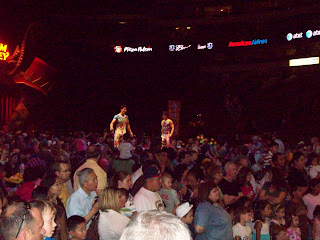 The American Airlines Center is by far the largest venue my kids have ever been to. 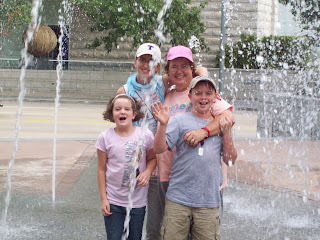 As small town kids, the experience was quite exciting and a bit scary for them. Before we left home we had a long talk about how to stay safe in large crowds. I don't think they believed us when we said it was a big place. 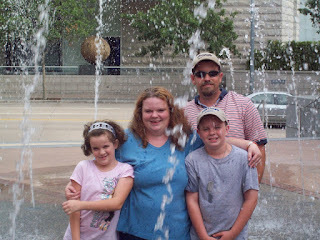 As we waited to get in the doors, we explored the area, walked around, and had a great time just goofing off. The only downside to the trip happened as we were in line to get in; the PETA protesters made several kids, including Ashley cry. When parents spoke up about them scaring the children, it just made the situation worse. Thankfully, the protesters were only allowed on one side of the building, so we walked around to the other side and waited in peace. We arrived early for all the preshow activities. 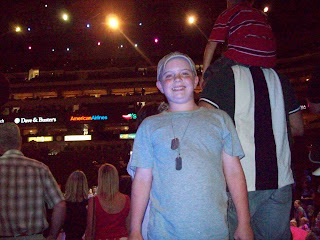 Tristen loved them and had a great time checking everything out. Ashley was a bit overwhelmed with so many people in such a tight place. So, we go to our seats pretty quickly. 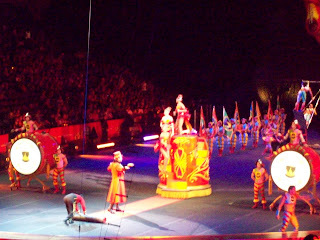 The highlight of the circus for me was finally getting to meet Alyssa from Keeping the Kingdom First. We've been friends online for more than a year, but had never met in real life. She introduced me to Amy from Amy Loves It and Stephanie from Couponing 101. All of them were just wonderful and I really enjoyed meeting them. I hope I will be able to meet up with these ladies again soon. 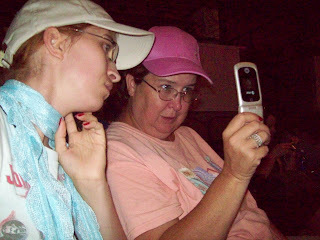 Obviously, meeting Mom's bloggy friends was not Tristen & Ashley's favorite part of the evening. The circus was a hit with all of us! 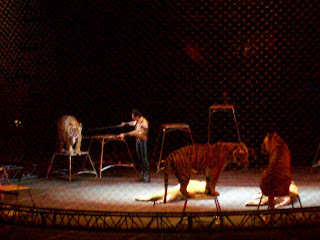 I was truly impressed with the amount of dedication these performers must have to perfect their acts, train the animals, and do what they do night after night. It was truly a fun, music filled, amazing show. Lynette and CG seemed to enjoy it as much as we all did. I am so glad we got to share the wonderful day with them! Huge thanks to Lauren Sleeper of Mom Central and the Feld Family Activator program for the tickets. SO glad we finally got to meet, Nessa! What a treat! Sorry we could not hang out longer, we definitely need another opportunity for a meetup! Glad you enjoyed the circus. It was great meeting you too, Nessa! Wish we could have had a chance to chat!